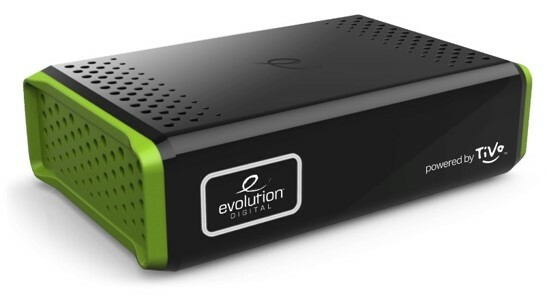 CENTENNIAL, Colo. — Evolution Digital today announces it has reached agreement with General Communications Inc. (GCI) to deploy the revolutionary eBOX® IP Hybrid Set-Top Box, powered by TiVo®, to GCI customers in select service regions. GCI delivers residential and business telecommunications services primarily to residents across the state of Alaska. Evolution Digital’s eBOX, powered by TiVo, offers viewers an enhanced HD offering through an integrated video viewing experience. eBOX delivers QAM live linear television combined with OTT streaming apps all on one integrated platform, making content search and navigation easier than ever. GCI joins the expanding roster of nationwide cable operators deploying eBOX, which include WOW!, Mediacom Communications, Advanced Cable Communications and several member operators in the National Cable Television Cooperative. Evolution Digital’s eBOX supports the world-renowned TiVo interface for a seamless user experience. All content is available on one device, so viewers do not have to switch HDMI inputs, boxes or remotes. Universal search, personal recommendations and browse are all features included on Evolution Digital’s eBOX.